“To rank well, build a site so fantastic that it makes you an authority in your niche,” said Matt Cutts, Head of the Google Web Spam Team. When Google makes 600-odd minor (and some major) changes to its algorithm every year, it is indirectly (and often directly) forcing brands to keep up and keep it current. While these algorithm updates are always oriented towards keeping content more interesting and useful for the users, this also means that however robust your SEO plan looked like at the beginning of the year, elements of it may start being obsolete along the way. Well, look at what happened recently to a lot of PR agencies who were heavily oriented towards overly optimized link texts. My suggestion? Set overall SEO goals you wish to achieve over a year – the organic traffic you plan to drive, the brand recall you need to generate, the level of engagement you wish to build overall. But make sure that you take time to review your SEO strategy and revise it as needed, at least twice a year to make sure you are achieving those targets, because search algorithms are practically changing every day. For a quick summary of the changes search algorithms saw in the last few months, or to check on how you fared in search against specific keywords, there are some free tools and resources you can use. Some of these may be basic, but are extremely useful and handy. Searchmetrics Essentials is a comprehensive SEO monitoring and analysis tool which keeps track and monitors the visibility of your website on search engines and on a weekly basis usually on Wednesday or Thursday. It provides you with in-depth analysis of SEO, Keywords, Social, backlinks and Competitors. As the tagline “The Google Algorithm weather forecast” itself suggests, Mozcast reports the changes in Google algorithm in terms of weather and temperature. i.e. the hotter and stormier the weather report, the more rankings have changed on Google search engine. It provides report for the last 30 days. Serps.com provides you with multiple levels of help in terms of analyzing the SEO. You can track progress after you implement the changes, after starting a new SEO campaign, and even on individual keywords that are tied to a specific change that you made. 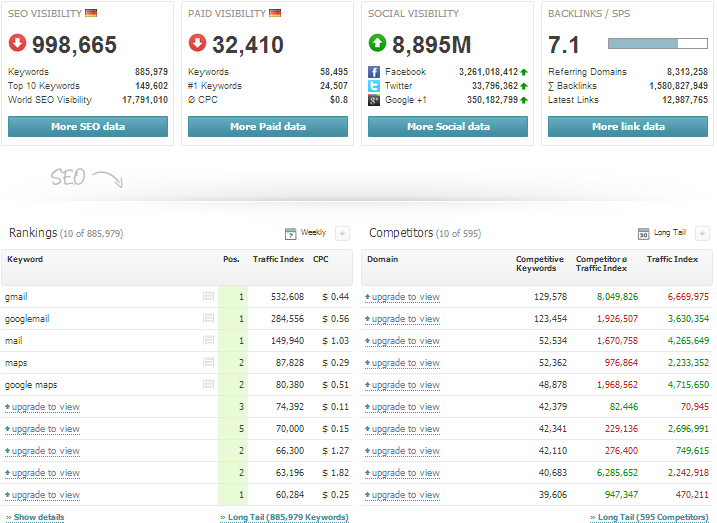 With Serps.com you can easily track the ranking in any location daily. 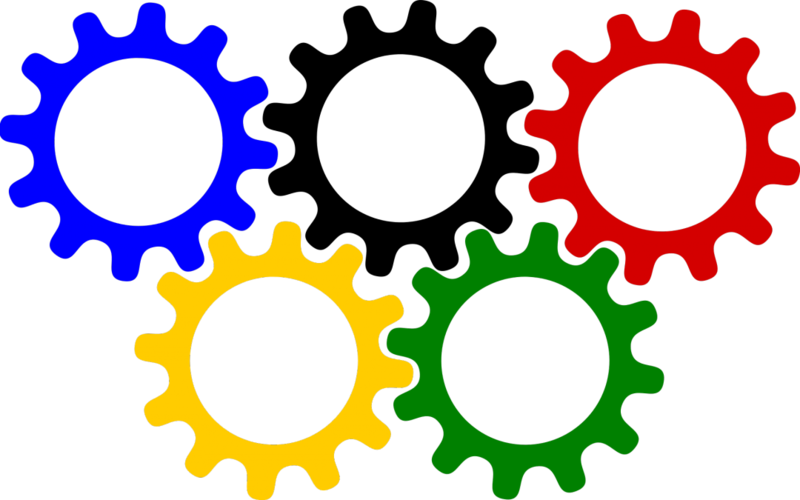 You can also find the best and the most recent links of your competitors. You have tools like Meta Site explorer, free keyword Rank Checker, Free keyword research tool, SERPs Volatility etc. available with Serps. 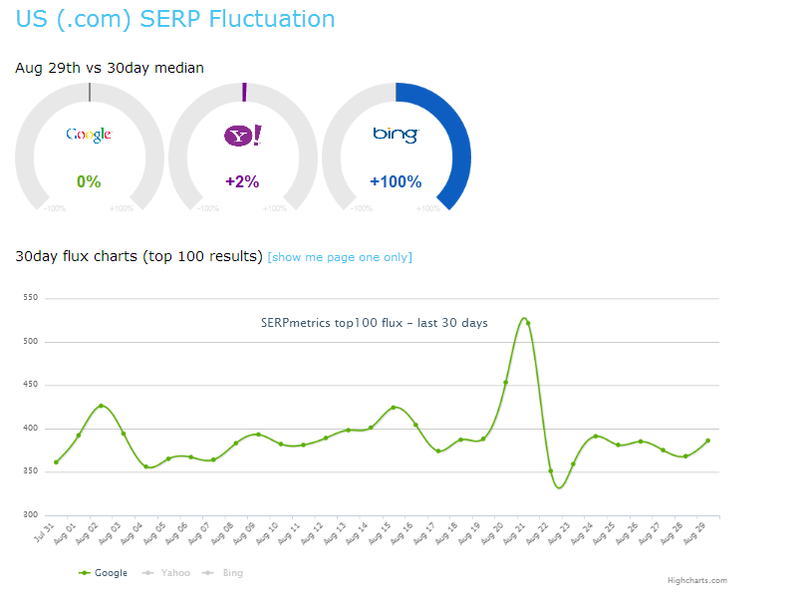 Serpmetrics.com describes its monitoring in terms of flux and provides data for all the 3 major search engines i.e. Google, Yahoo and Bing on the same chart.They also provide a full featured API for agency use. Shameless Plug: iQuantism has developed a proprietary SEO tracking and optimizing platform – ALPS(Analytics Led Platform for Search). The tool uses advanced algorithms to track changes in search ranking (over time and across search engines), and scores the URLs based on proprietary on-page and off-page scoring metrics. The tools is successfully being used internally to deliver high quality recommendations and results to our many F100 clients.